If you are like me you are thinking about ordering all the school uniforms, stationery, lunch boxes, shoes and all the other multitude of things you’ll need for the school year in September. Well if you are ordering on-line, you could be raising a free donation for PIP-UK and helping families affected by Poland syndrome. Did you know that whenever you buy anything online – from your weekly shop to your annual holiday – you could be raising a free donation to help us support individuals and families affected by Poland Syndrome? There are nearly 3,000 retailers including Amazon, John Lewis, Aviva, thetrainline and Sainsbury’s, who will donate a percentage of the amount you spend to PIP-UK to say thank you for shopping with them. 3. 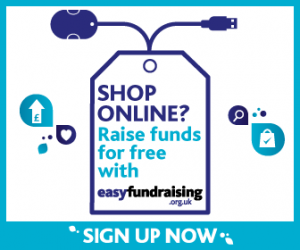 Get shopping – your donations will be collected by easyfundraising and automatically sent to PIP-UK. It couldn’t be easier! There are no catches or hidden charges and PIP-UK will be really grateful for your donations. If you are really organised and have already done all your back to school shopping, pat on the back for you, please feel free to register for next time you are shopping as well as share your organisational tips with me. Since we signed up to work with Easy Fund Raising we’ve earned £44.86 if shopping online isn’t your thing using our special search engine helps us raise money too. So next time instead of going to “Google” or “Bing” to look something up why not go here: http://pipukorg.easysearch.org.uk/ and help us raise a few more pennies.